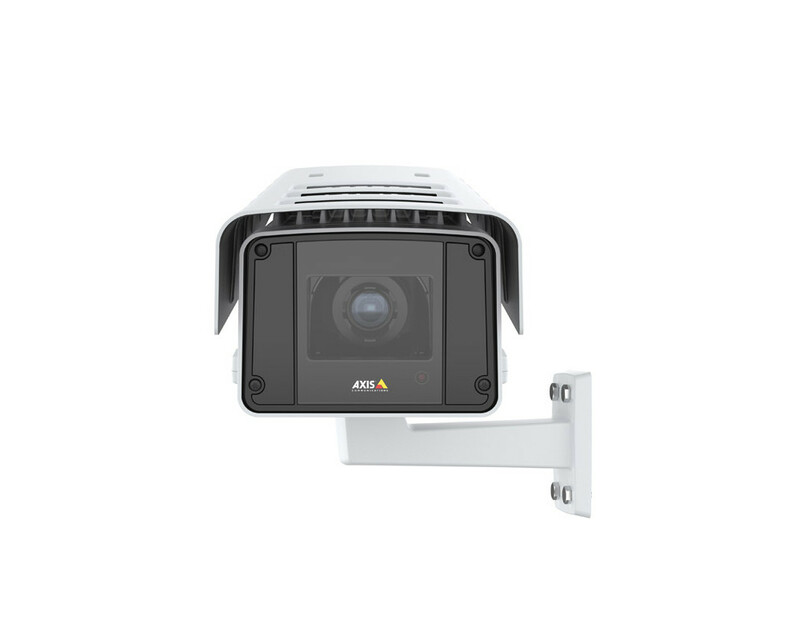 1/2” image sensor, outdoor, NEMA 4X, IP66 and IK10-rated HDTV, day/night fixed camera providing OptimizedIR, Forensic WDR and Lightfinder. Varifocal 3.9-10 mm i-CS lens with remote zoom and focus. 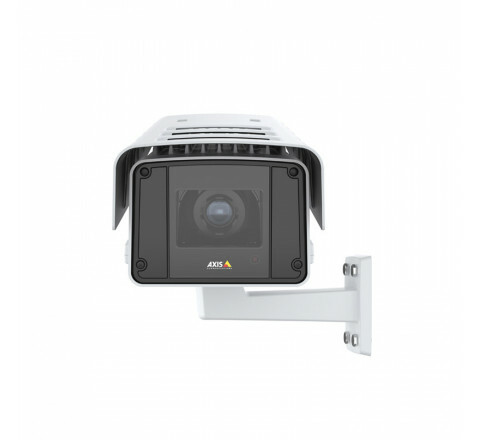 Support for CS-mount P-Iris and DC-iris lenses, multiple, individually configurable H.264 and Motion JPEG streams; full HDTV 1080p/2MP resolution up to 60 fps with Forensic WDR and up to 120 fps without. Zipstream for reduced bandwidth and storage. Includes analytics AXIS Guard Suite, shock detection and active tampering alarm. Barrel distortion correction, Defog and Electronic image stabilization. Scene profiles. Two-way audio and I/O for alarm/event handling. Memory card slot for optional local video storage. Serial port for RS485/RS422 communication. Powered by IEEE 802.3at Type 2 Class 4 (PoE+). Built-in heaters and fan, Arctic Temperature Control for start up in -40°C to 60°C (-40 ºF to 140 ºF). Includes a removable sunshield and wall bracket. Midspan not included.